Yesterday Microsoft released Update Rollup 8 for System Center 2012 R2 and Windows Azure Pack. Again with the Update Rollups for Windows Azure Pack and System Center, Microsoft not only delivers bug fixes, they also release new features. The DPM Agent crashes intermittently during a backup. If you are trying to recover data from an imported tape, DPM may crash with a “Connection to the DPM service has been lost” error. If you try to back up a SharePoint site that uses SQL Always On as a content database, SQL logs are not truncated as expected. You cannot verify tape library compatibility for tapes that use RSMCompatmode settings such as IBM 35xx, 2900, and so on. If you have multiple SharePoint farms hosted on the same SQL cluster with different instances but the same database names, DPM cannot back up the correct SharePoint farm content. If you run Update Rollup 7 for Data Protection Manager 2012 R2, and you have already configured online protection for one or more protection groups, trying to change the protection group populates the default DPM settings for the “Select long-term goals” wizard instead of the previous configured values. When you try to protect a SQL failover cluster, the Data Protection Manager UI crashes for every backup or synchronization operation. If you install Update Rollup 7 for Data Protection Manager 2012 R2, self-service recovery for SQL databases may not work. Sometimes when the operators change between alert views, the views take up to two minutes to load. After this update rollup is installed, the reported performance issue is eradicated. The Alert View Load for the Operator role is now almost same as that for the Admin role user. Health Service encountered slow performance every five to six (5-6) minutes in a cyclical manner. This update rollup resolves this issue. System Center Operations Manager Event ID 33333 Message: The statement has been terminated. This change filters out “statement has been terminated” warnings that SQL Server throws. These warning messages cannot be acted on. Therefore, they are removed. System Center 2012 R2 Operations Manager: Report event 21404 occurs with error ‘0x80070057’ after Update Rollup 3 or Update Rollup 4 is applied. In Update Rollup 3, a design change was made in the agent code that regressed and caused SCOM agent to report error ‘0x80070057’ and MonitoringHost.exe to stop responding/crash in some scenarios. This update rollup rolls back that UR3 change. In a connected management group environment in certain race condition scenarios, the SDK of the local management group crashes if there are issues during the connection to the different management groups. After this update rollup is installed, the SDK of the local management group should no longer crash. The 14-day warning for the RunAs account expiration was not visible in the SCOM console. Customers received only an Error event in the console three days before the account expiration. After this update rollup is installed, customers will receive a warning in their SCOM console 14 days before the RunAs account expiration, and receive an Error event three (3) days before the RunAs account expiration. The French translation of “System Center Management APM service” is misleading. APM abbreviation is translated incorrectly in the French version of Microsoft System Center 2012 R2 Operations Manager. APM means “Application Performance Monitoring” but is translated as “Advanced Power Management.” This fix corrects the translation. 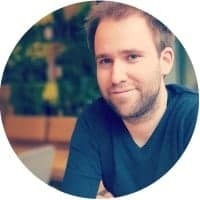 If customers use Resource Pools and take some servers out of the pool, discovery tasks start failing in some scenarios. After this update rollup is installed, these issues are resolved. In the Operations Manager Server “Managed Computer” view on the Administrator tab, clicking the “Properties” button of a management server causes an error. After this update rollup is installed, a dialog box that contains a “Heart Beat” tab is displayed. When customers run discovery tasks to discover network devices, duplicate network devices that have alternative MAC addresses are discovered in some scenarios. After this update rollup is installed, customers will not receive any duplicate devices discovered in their environments. This update lets customers view certified System Center Operations Manager partner solutions directly from the console. Customers can obtain an overview of the partner solutions and visit the partner websites to download and install the solutions. SQL Server 2014 Service Pack 1 (SP1) is now supported in Orchestrator 2012 R2. After you export and then import a Runbook, the Password field of Run Program activity is corrupted. 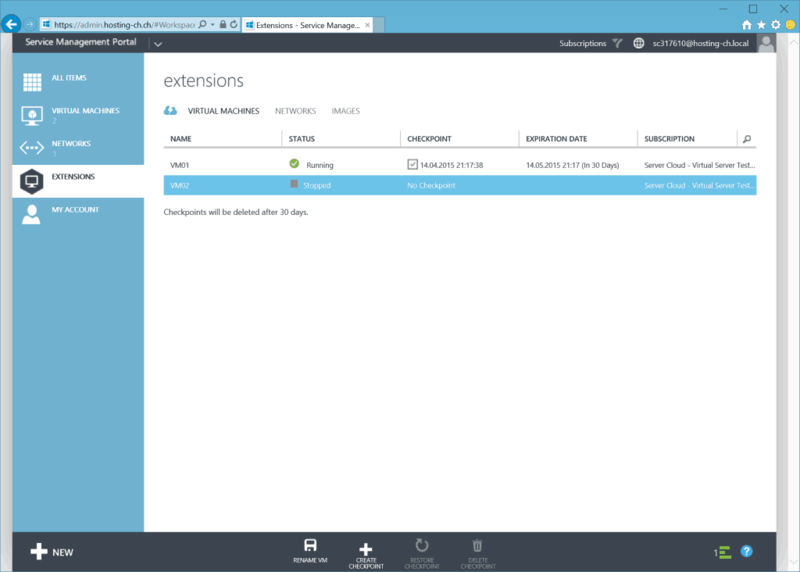 SMA: SQL Server 2014 Service Pack 1 is now supported in Service Management Automation 2012 R2. SMA: Service Management Automation 2012 R2 does not let you stop jobs that are in the queued state. Installing update rollups for Service Provider Foundation causes additional bindings to be created, and this makes a Service Provider Foundation website inaccessible. Quotas for multiple NAT connections are not supported. For more information about this feature, see WAP Update Rollup 8 documentation. With Update Rollup 8 for SC VMM 2012 R2 you can now have Microsoft SQL Server 2014 SP1 as the VMM database. This support does not include deploying service templates by using the SQL profile type as SQL Server 2014 SP1. For the latest information about SQL Server requirements for System Center 2012 R2, see the reference here. With Update Rollup 7, we announced support for management scenarios for vCenter 5.5. Building on our roadmap for vCenter and VMM integration and supportability, we are now excited to announce support for VMWare vCenter 6.0 in Update Rollup 8. For a complete list of supported scenarios, click here. With Update Rollup 7, we announced support for multiple external IP addresses per virtual network, but the story was incomplete, as there was no option to set quotas on the number of NAT connections. With UR8, we are glad to announce end-to-end support for this functionality, as you can now set quotas on the number of external IP addresses allowed per user role. 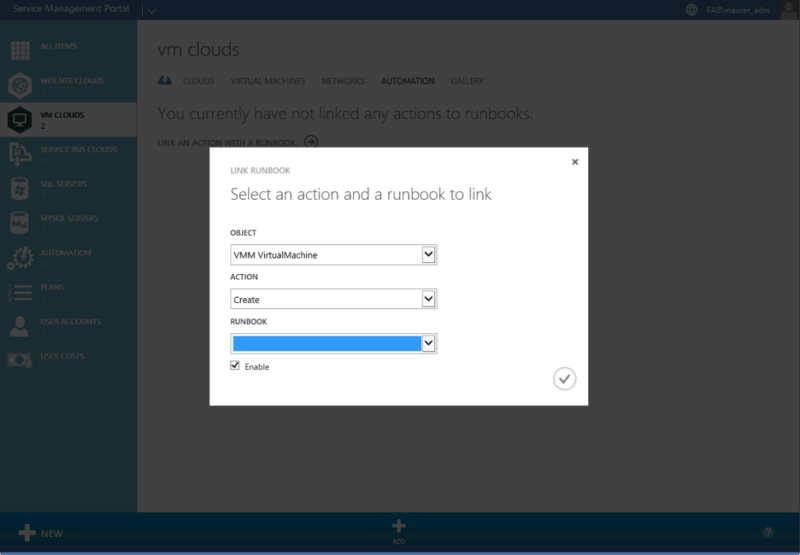 You can also manage this by using Windows Azure Pack (WAP). Before UR8, when you create a checkpoint through WAP, VMM does not check whether creating the checkpoint will exceed the tenant storage quota limit. Before UR8, tenants can create the checkpoint even if the storage quota limit will be exceeded. With Update Rollup 8, we now provide the functionality to configure static network adapter MAC addresses during operating system deployment. If you have ever done Bare Metal provisioning of hosts and ended up having multiple hosts with the same MAC addresses (because of dynamic IP address assignment for network adapters), this could be a real savior for you. 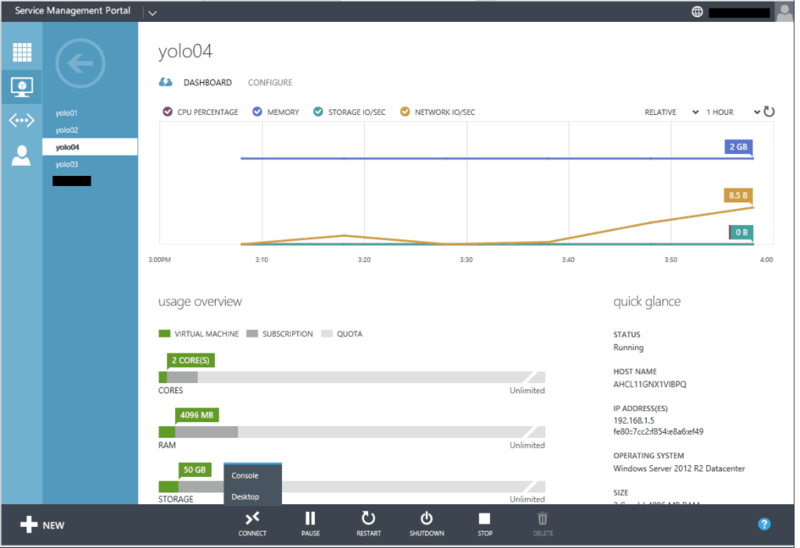 With Update Rollup 8, VMM now provides you the functionality to create file shares with tiers (SSD/HDD). 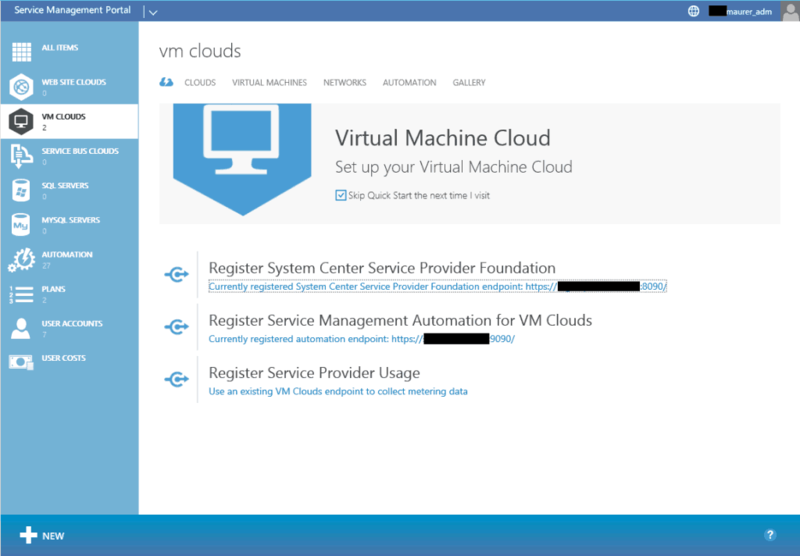 VMM does not let you set the owner of a hardware profile with an owner name that contains the “$” symbol. HA VMs with VLAN configured on the network sites of a logical network cannot be migrated from one host to another. Error 26857 is thrown when you try to migrate the VM. 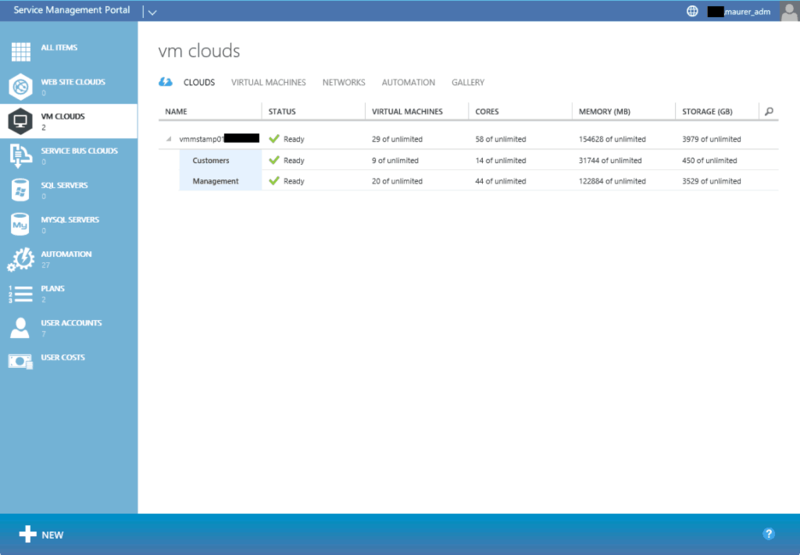 The changes that are made by a tenant administrator (with deploy permissions to a cloud) to the Memory and CPU settings of a VM in the cloud through VMM Console do not stick. To work around this issue, change these settings by using PowerShell. 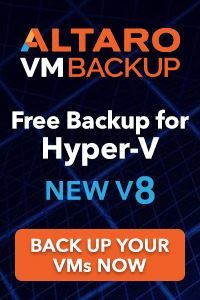 When a VM is deployed and put on an SMB3 file share that’s hosted on NetApp filer 8.2.3 or later, the VM deployment process leaves a stale session open per VM deployed to the share. When many VMs are deployed by using this process, VM deployment starts to fail as the max limit of the allowed SMB session on the NetApp filer is reached. VMM hangs because of SQL Server performance issues when you perform VMM day-to-day operations. This issue occurs because of stale entries in the tbl_PCMT_PerfHistory_Raw table. With UR8, new stale entries are not created in the tbl_PCMT_PerfHistory_Raw table. However, the entries that existed before installation of UR8 will continue to exist. In a deployment with virtualized Fiber Channel adapters, VMM does not update the SMI-S storage provider, and it throws an exception. For VMs with VHDs that are put on a Scale out File Server (SOFS) over SMB, the Disk Read Speed VM performance counter incorrectly displays zero in the VMM Admin Console. 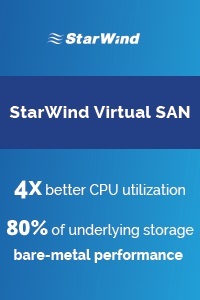 This prevents an enterprise from monitoring its top IOPS consumers. Dynamic Optimization fails, leaks a transaction, and prevents other jobs from executing. It is blocked on the SQL Server computer until SCVMM is recycled or the offending SPID in SQL is killed. V2V conversion fails when you try to migrate VMs from ESX host to Hyper-V host if the hard disk size of the VM on the ESX host is very large. Live migration of VMs in an HNV network takes longer than expected. You may also find pings to the migrating VM are lost. This is because during the live migration, the WNV Policy table is transferred (instead of only delta). Therefore, if the WNV Policy table is too long, the transfer is delayed and may cause VMs to lose connectivity on the new host. VMM obtains a wrong MAC address while generating the HNV policy in the deployments where F5 Load Balancers are used. For IBM SVC devices, enabling replication fails in VMM because there is a limitation in SVC in which the name of the consistency group should start with an alphabetical character (error code: 36900). This issue occurs because while enabling replication, VMM generates random strings for naming the “consistency groups” and “relationship” between the source and the target, and these contain alphanumeric characters. Therefore, the first character that’s generated by VMM may be a number, and this breaks the requirement by IBM SVC. In Update Rollup 6, we included a change that lets customers have a static MAC address even if the network adapter is not connected. This fix did not cover all scenarios correctly, and it triggers an exception when there’s a template with a connected network adapter, and then you later try to edit the static address in order to disconnect the network adapter. 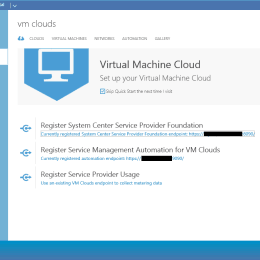 To work around this issue, manually run the legacy refresher by refreshing VM properties. Post-UR7, deleting a virtual network does not correctly clean up the cluster resources for the Network Virtualization Gateway. This causes the cluster role (cluster group) to go into a failed state when a failover of the HNV gateway cluster role occurs. Administrators cannot offer and tenants cannot use multiple external IP addresses through a Network Address Translation (NAT) connection. Even though Microsoft System Center Virtual Machine Manager (VMM) has functionality to allocate IP addresses for this purpose, the WAP administrator and tenant experiences do not provide such functionality. Administrators can now allocate a set of external IP addresses for tenants to use when you create NAT rules. The administrator can set up the IP address quota through the Administrator Portal virtual machine (VM) extension. Tenants can create only one checkpoint per virtual machine. Administrators can create plans that include quotas that let tenants create multiple VM checkpoints. When you create a virtual machine through the Tenant Portal, the menu dropdown boxes are not sorted. When a tenant tries to create a VM and the list of items is larger than some items, it becomes very difficult to find the necessary machine image or template. Attaching ISOs in a generation 2 (gen 2) VM fails after three or four attach or detach operations. The attach and detach operations on ISO disks and VM gen 2 allocate adapters never releases the adapters for reuse.After you apply this update, detaching the disk adapter enables the adapter to be reused again. This Update Rollup is one of the bigger one Microsoft released in terms of Azure Pack IaaS Scenarios. This update brings several great improvements to the implementation of Checkpoints and Network Virtualization. Update Rollup 8 finally bringing end to end support for multiple external IP Addresses for the NVGRE Gateways inside WAP as well as VMM. 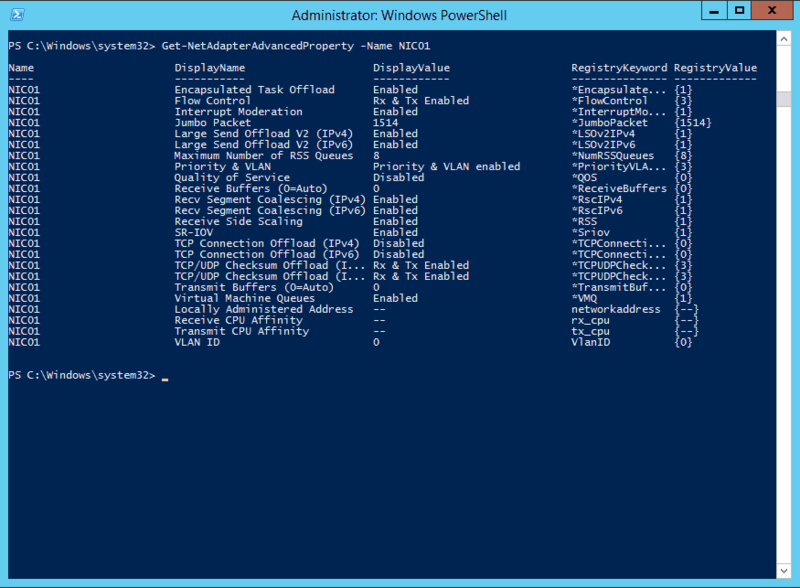 Also better support for Checkpoints on Hyper-V in the WAP Portal as well as VMM. As always, before you deploy an update rollup in production, make sure, you have tested it in your test or lab environment. 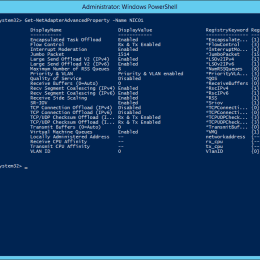 SMA runbook execution fails if a PowerShell execution policy is set to Unrestricted through a Group Policy Object. The rollup is delayed by few weeks, as engineering team is working on recently reported issues. This update includes general API changes to improve product quality. Changes Web Deploy publishing from publish.domain.com to site.scm.domain.com. 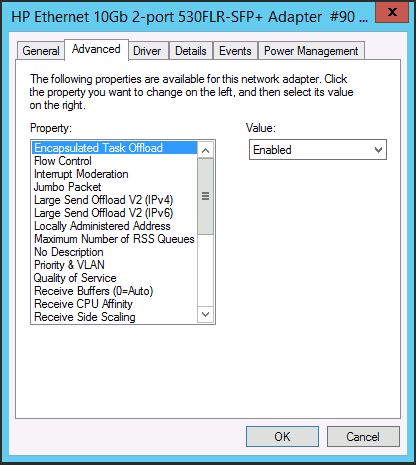 One of the new features I want to highlight is the possibility to add multiple public (external) IP addresses to Virtual Network (Using Hyper-V Network Virtualization HVN). This means a tenant can assign multiple public IP addresses on his NAT gateway and do port forwarding, for example if he runs multiple webservers in that VM Network. This is a feature a lot of customers especially service provider have missed for a long time. Another improvement we can see is the support for the next release of Windows Server and also support for Windows 10. I already made some post where I list the websites to recommended hotfixes and updates for Clusters, Hyper-V and File Server such as the Scale-Out File Server for Hyper-V over SMB. Now Microsoft also has an official list for Recommended hotfixes, updates, and known solutions for Windows Server 2012 and Windows Server 2012 R2 Hyper-V Network Virtualization (HNV) environments. Which will list hotfixes for Hyper-V, Windows Server and System Center related to Network Virtualization. As I already mentioned I did several Hyper-V and Microsoft Windows Server projects with Cisco UCS. With Cisco UCS you can now configure stateless offloads for NVGRE traffic which is needed for Hyper-V Network Virtualization. Cisco UCS Manager supports stateless offloads with NVGRE only with Cisco UCS VIC 1340 and/or Cisco UCS VIC 1380 adapters that are installed on servers running Windows Server 2012 R2 operating systems. Make also sure you have installed eNIC driver Version 3.0.0.8 or later. For more information, see http:/​/​www.cisco.com/​c/​en/​us/​td/​docs/​unified_computing/​ucs/​sw/​vic_drivers/​install/​Windows/​b_​Cisco_​VIC_​Drivers_​for_​Windows_​Installation_​Guide.html. 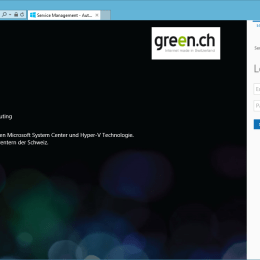 If you try to host some IaaS workloads or build a Hybrid Cloud environment connected to a service provider in Switzerland, you probably want to check out the Green Hyper-V ServerCloud. Based on Hyper-V technology from Windows Server 2012 R2, Green virtual servers provide you with a powerful, high-availability server platform for your applications. The virtual servers can be seamlessly integrated into your existing IT environment, using Site-2-Site VPN. 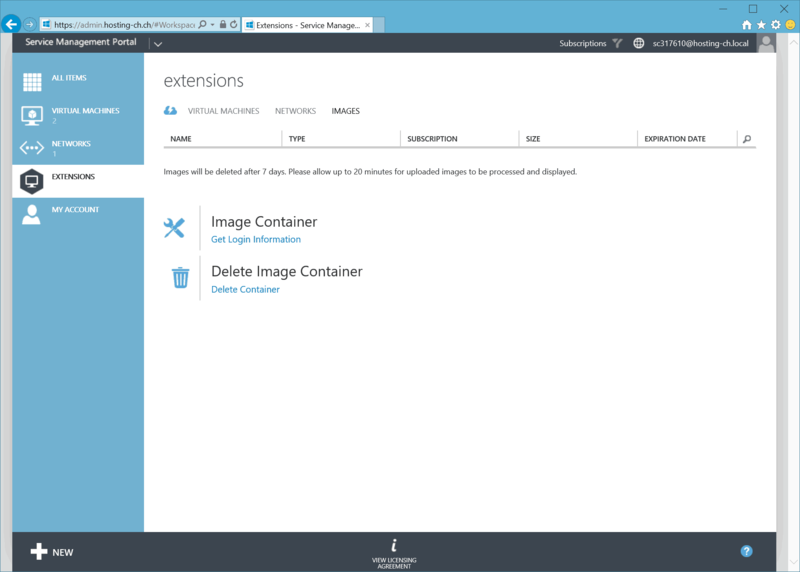 Green also offers a own image container function in Windows Azure Pack which allows you to quickly and smoothly migrate your server to the Hyper-V ServerCloud, including configuration and software. 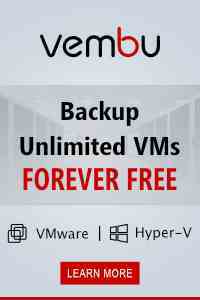 Install your VHDX and ISO images and save valuable time on reinstallation and setup. Options and the ability to gradually expand the system pave the way for future expansion. 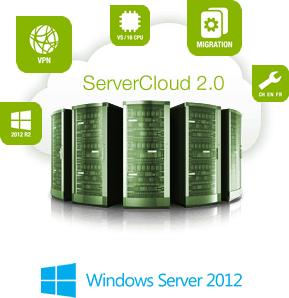 From individual applications to virtualization of entire IT areas, Server Cloud offers enough scope for your business. Green is using it own datacenter to host the Green Cloud. The GreenCloud is hosted in their Tier 4 and Tier 3 datacenters for maximal security. The newest green.ch data center offers all the benefits of a state-of-the-art data center. It is situated in an excellent location, is the only Swiss data center that was awarded a Tier 4 design certification, and was designed for energy-efficient operation. The Lupfig site is located west of Zurich in an easy to access location. It is far away from hazardous zones, yet centrally located within the Zurich-Basel-Bern business triangle. 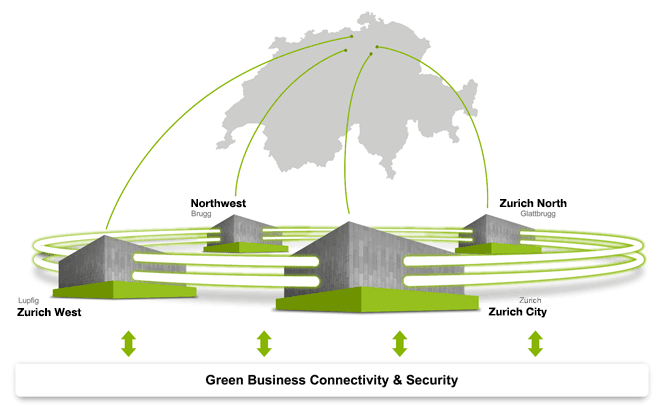 From the very beginning, greenDatacenter Zurich West was designed for highest availability. All systems required for operation are duplicated. Multiple feeds are used for the power and emergency power supply, and the connection to the data network. And these feeds are even separately routed within the data center. Four security perimeters protect the data center against unauthorized access. Security measures include biometric access systems. The Swiss Federal Office of Energy awarded greenDatacenter Zurich West the Watt d’Or 2013 for exemplary energy efficiency in the buildings and space category. As already mentioned Green is using the Microsoft Cloud Platform stack with Windows Azure Pack and Windows Server 2012 R2 Hyper-V for their Cloud offering. 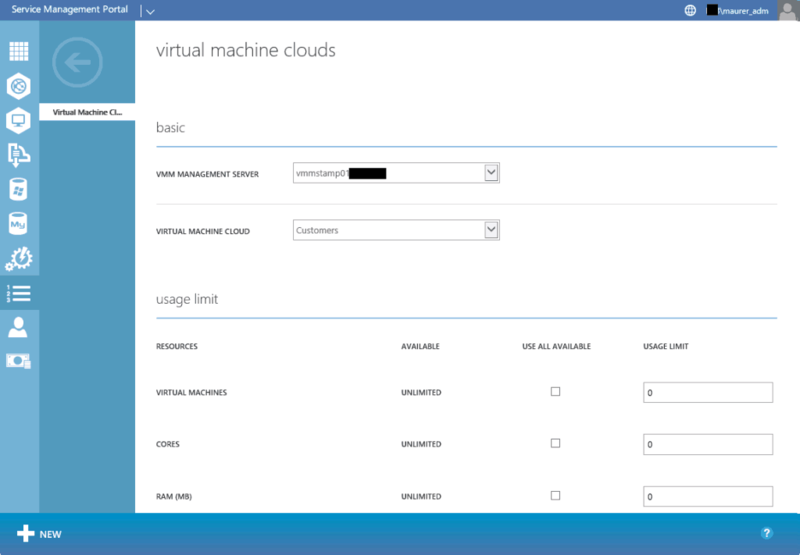 By using Hyper-V Network Virtualization and Site-2-Site VPN, customers can easily connect their local networks to the Green Cloud and build a Hybrid Cloud scenario. Green also extended their offering beyond the standard WAP offerings by adding additional features such as Hyper-V Replica support, the option to create Checkpoints (Snapshots) of Virtual Machines and the possibility to bring your own server images and ISO images to the Green Cloud. So if you are interested in the things Green offers checkout the 30 days free trial offering.